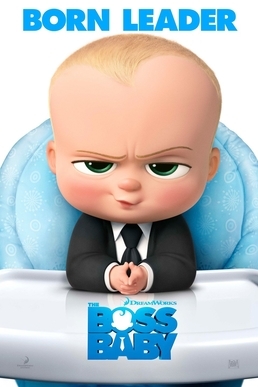 The Boss Baby is a forthcoming American 3D computer-animated comedy film loosely based on the 2010 picture book of the same name written and illustrated by Marla Frazee. Produced by DreamWorks Animation, the film is being directed by Tom McGrath and written by Michael McCullers. It stars Alec Baldwin, Steve Buscemi, Jimmy Kimmel and Lisa Kudrow, and is narrated by Tobey Maguire. The Boss Baby is scheduled to be released on March 31, 2017. Plot– A man named Tim Templeton tells about his seven-year-old life being jealous of his fast-talking, briefcase-carrying baby brother named the “Baby Boss”.When he goes on a mission to win back affection of his parents, he finds out about a secret plot by the CEO of Puppy Co., Francis E. Francis which revolves around his baby brother and threatens to destabilize the balance of love in the world.Both brothers must unite to save their parents and restore order to the world and prove that love is indeed an infinite force. ← 10 Path-Breaking Marathi Films of this Decade (So Far)!